The best way to play new online casino games, is by opting for an account with one of the top casinos – and what site is better suited for this purpose, then the WinningSeven. This absolutely fabulous gambling website has all the hot new games, generous promotions, and lots of other amenities that players might find quite useful to begin with. There is nothing more exciting than seeing your winning numbers appear on the wheel of fortune, which can take any shape due to the many, brightly colored online games. Although it can be tricky at times, online gambling is appreciate by many of those who have either a distinctive taste for such entertainment, or who love games in the most extravagant forms. Set up a profile at the Winning Seven casino, and let it guide you through the rest of the registration procedure, after which you can already enjoy the numerous gambling features. 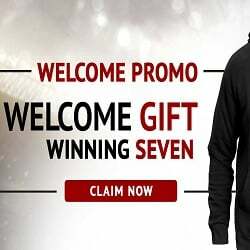 The WinningSeven casino offers not only a quick way to play all your favorite slots, but also non-stop access to a variety of other gaming categories, including number games, tangkas, toto, casino, and sportsbook. The rewards are quite promising, and it is just a matter of time before you score some winnings, allowing to play the slot machines all over again. Bonuses are often the best source of additional funding, and every deposit can bring you closer to unlocking more profitable and attractive rewards. Software providers like Gold Deluxe, GamePlay Interactive, Playtech, Habanero, Microgaming, Best Gamer, and Tembak Ikan, are supplying the Winning Seven platform with all their most recent developments. Slot machines like Ariana, Boogie Monsters, Carnaval, Isis, Ladies Nite, Mayan Princess, Stash of the Titans, Lara Croft Tomb Raider, So Much Candy, and Treasure Nile, are more than enough to keep you invested in the games for quite some time. The website itself, can be displayed in English or Indonesian, offering much of the promising online activity.